In the event of a fire alarm, the last thing that you need to worry about is the fire door itself. They are heavy and cumbersome things and as such, tricky to open and difficult to hold. Propping open a fire door is illegal due to the safety issues that this creates, so it may feel like you have no choice but to keep them shut. What if that wasn't the case though? With the Geofire Agrippa Acoustic Digital Fire Door Closer, you can leave the door opened – legally. The fire door holder falls under the right approval to hold a fire door open without it causing issues. This is due to the "Listen and Learn" technology embedded in the closer, allowing it to "learn" the sound of your fire alarm and release the door accordingly. This means at the sound of the fire alarm, the door is released and provides the barrier against smoke and fire the way it is designed to. But the rest of the time, the door can be held open for ease of access. 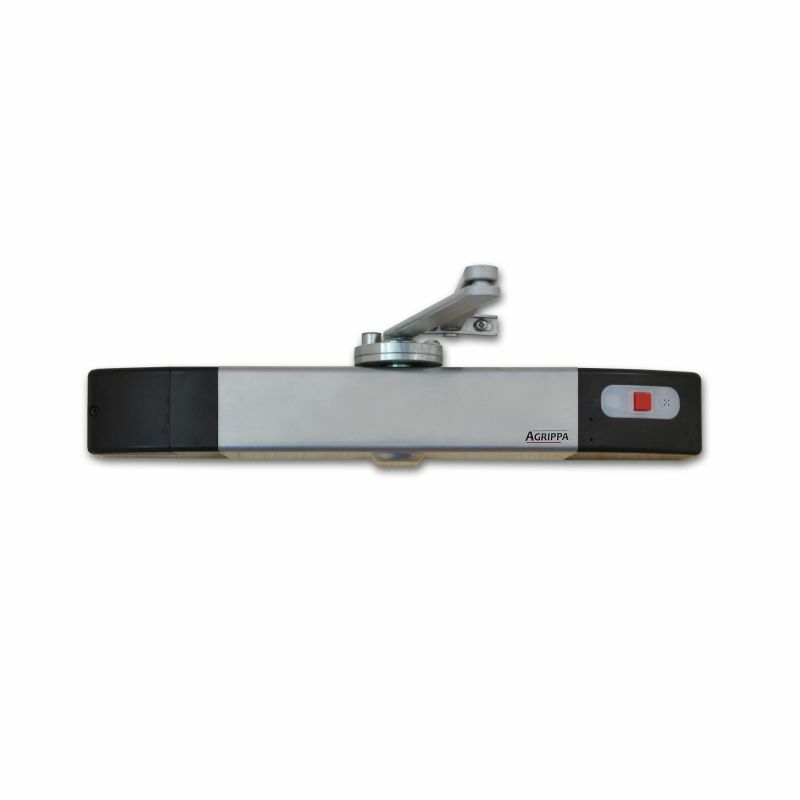 The fire door closer is a modern design with technology developed especially for it by Geofire. This innovative "Listen and Learn" technology reduces false activations and is critical for the safety of elderly and move vulnerable occupants of the building. The fire door closer is a wire-free product, making it easy and quick to install. It is run off batteries so is ready for immediate use. There is an LCD display showing the battery level of the product to monitor if the batteries are getting low. Due to it being installed at the top of the door, there is no concern over floor damage during installation. To provide you with greater flexibility, a daily timed release option is available if that is required in the environment it is based in. The angle of the holder can be altered to secure the fire door in different positions. These can be altered between 65° - 105° depending on the needs of the environment. The speed of the door closing can be altered if more time is needed. The fire door closer conforms to EN1155 and EN1154, and is CE marked under the Construction Products Regulation. Watch the video below to see the fire door closer in action.